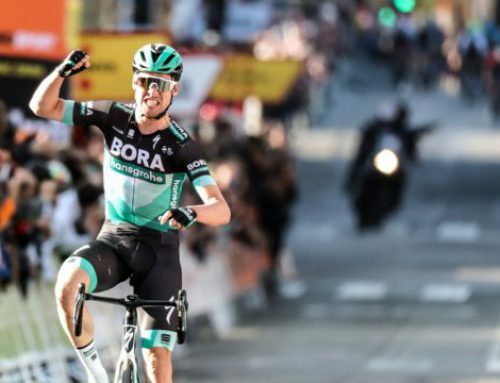 The final stage of the not-stop-exciting Volt a Catalunya threw a dramatic climax into what has been a non-stop exciting stage race. 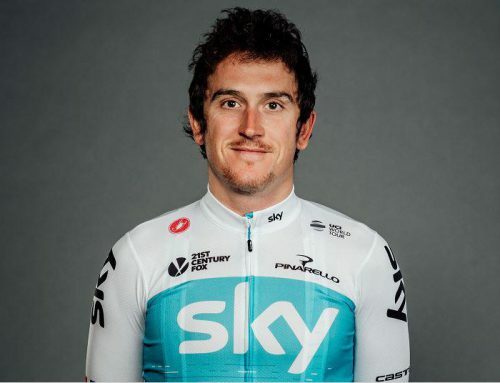 After Angel Lopez (Astana) stormed into the lead with a bold attack on the La Molina stage, he took the leader’s jersey from Adam Yates (Mitchelton-Scott) by 14seconds, with Sky’s Egan Bernal 3 seconds further back. That set up Sunday as a cage-match between Lopez and Yates with bonus seconds of 10, 6 and 4 seconds at the finish line. 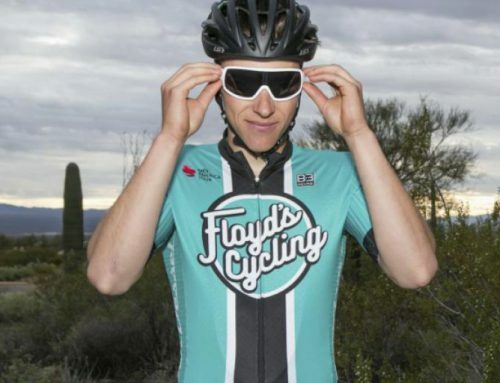 Could Yates, who lost the recent Tirreno-Adriatico to Primoz Roglic by one second, pull Catalunya out of a hat? His director sportif and former pro Julian Dean promised they would be aggressive. With 22 kilometers to go, Mitchelton-Scott’s Esteban Chaves was on the front. 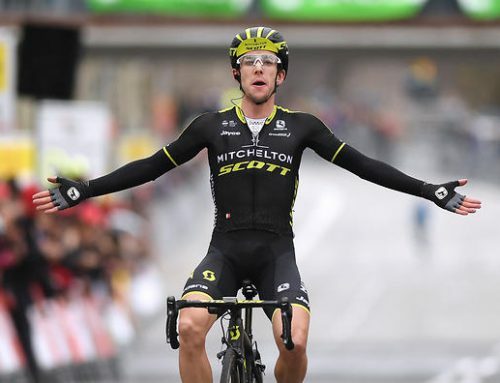 He said something into his radio and within seconds, Simon Yates attacked hard from a dozen riders back, swinging to the far right and rocketing up the road. Moments later, his brother Adam also hit the gas and away they went. Yates quickly passed the remnants of the breakaway, with just Bora-Hansgrohe’s David Formolo, still further ahead. Only James Knox (Deceuninck-Quick Step) managed to stay with the Yates brothers and the trio worked well together. Lopez claimed he never panicked but he had good reason. Yates was now the virtual leader (and winner) as the gap went up to 40 seconds. Simon went to the front again with the cycling version of brotherly love and gave it everything. Meanwhile Lopez was having trouble recruiting anyone for help, having no brother in the race and Bernal and Quintana still hanging on his wheel. He had a teammate but he wasn’t making much headway. Yates pushed on, dropping his brother Simon and Knox. At that moment in the race, I would have put all my money on Yates to win the overall and perhaps even catch Formolo. It was edge-of-the-seat racing at its best. Then some odd things happened. Movistar’s Alejandro Valverde went to the front and turned up the pace, helping Lopez close the time gap. What was his motivation? It was highly unlikely he could move his teammate Quintana up from fourth place onto the podium. Did he just prefer a Spanish speaker winning the race instead of a brit? Just as odd, Pavel Sivakov of Team Sky also appeared to give Lopez a hand. Did Sky really think they’d break Lopez and put Bernal on the top step. Again, that seemed unlikely as Lopez, while working desperately hard to catch Yates, didn’t look like he could be dropped. Am I missing something here as far as tactics? With less than a lap to go on the hilly Montjuic circuit, Lopez and the peloton caught Yates. Adam was philosophical about what he and his brother had attempted. “When he went for it with about three laps to go, I felt it was the right moment to go and it was the last stage, the last opportunity, why not give it a go? I needed quite a few seconds, not just one or two, and so I preferred to go for it from further out, a couple of laps out. We tried,” said Adam. 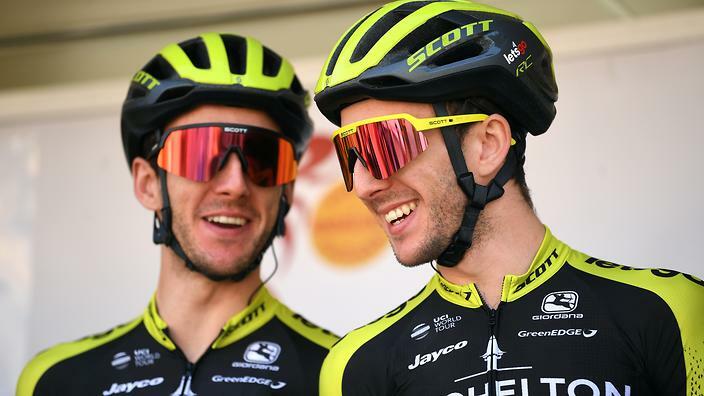 Chapeau to the Yates brothers for lighting up the Volta a Catalunya.